Charge Shot!!! : Super Bowl Commercials 2011: A Tremendous Display of Blatant Capitalism! Super Bowl Commercials 2011: A Tremendous Display of Blatant Capitalism! "You know, I think I'm paying more attention to the commercials than to the actual game. I need to reverse that." This was a comment I overheard during Super Bowl XLV. And while this is never the scenario a football fan envisions during their sport's biggest broadcast of the year, I can't say I could find fault with his initial reaction. At the time, the game was looking like it would turn into a blowout (a situation that was thankfully rectified later on) and each 30-second spot was garnering laughter and cheers from the audience. Which is to be expected. When a company is shelling out up to $100,000 per second of airtime, the marketing folks had better have what it takes to steal the show. Many of these companies brought their A-Games, saturating the screen with arrangements of color and light and sound designed to stimulate the highest possible desire to buy their products. I, for one, enjoyed watching some of the higher-echelon commercials, but they didn't inspire in me a desire to buy - they only inspired in me a desire to blog about commercials. Who would have thought the blogosphere would provide us with the tools to undermine the advertising age? The first results that come up when you Google (vb) "superbowl commercials 2011" are articles about Volkswagen, Audi, and Coke. 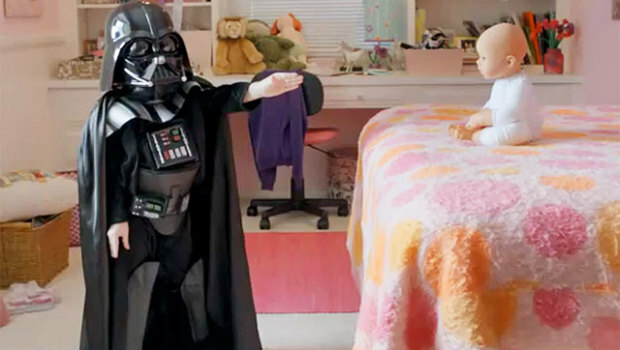 VW leaked their big spot a few days before the Big Game, allowing it some time to drum up viral status, and it seemed to work wonders - according to several unofficial outlets, "Darth Vader" was the highest-ranked commercial of the broadcast. I guess it pays to give your audience some time to get familiar with your presentation before the main event. Coke had two good spots: "Siege" which was rife with flashy CG and "Border" which was stark and minimalist with only two actors and a landscape. Both were about using their signature carbonated, high-fructose corn syrup-based beverage to make peace between conflicting factions. I recall a lavish Audi commercial ("Release the Hounds") admonishing us to escape the bonds of old luxury... which apparently means we should buy cars made by a German company established in 1899 rather than those made by a German company established in 1886... however the commercial itself was rather artistically and thoughtfully made... although I'd much rather listen to the spokesman of Audi's competitor any day of the week. Staying on the theme of cars (and segueing into the theme of celebrity appearances), Chrysler went all-out with a two-minute, absolutely head-turning spot featuring fellow Detroit native Eminem. Ozzy Osbourne and Justin Bieber joined forces to promote Best Buy. Academy Award winner Adrien Brody stole our hearts in an ad for Stella Artois. And another Academy Award winner took shameless digs at an oppressed nation in a commercial for a company I don't feel like it's appropriate to name due to the incendiary nature of the subject matter. Other honorable mentions include a Bridgestone spot where some office flunky freaks out because he thinks he replied-all to an email (which goes to show you can avoid a lot of stress if you never leave a paper trail and save your trash-talking for actual in-person conversations). NFL had a spot where they digitally altered scenes from some of our favorite TV shows to show the stars supporting various NFL franchises (George Lucas eat your heart out). And Bud Light had perhaps the best send-up of modern product placement in the history of modern product placement.